Bespoke wedding planning with a North Devon twist & a very personal touch – from vintage glamour to laid back beach chic, elegant fairytale to intimate gathering, we can create and style your wedding and compliment it with a professional support service to ensure your day is planned to perfection! 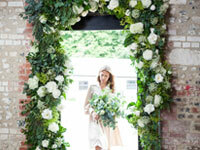 From budget planning to 'on the day' coordination - Blue Fizz Events has every angle covered! 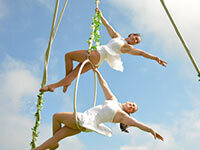 The Unique Cornish Event Company specialises in bespoke event design and project management, wedding planning, co-ordination and styling, and the sourcing of genuinely unique venues and locations. 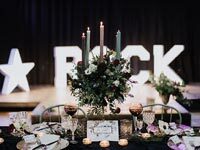 With 18 years’ experience within creative events and bespoke weddings, we are able to bring to life the experience you want for you and your guests. Our events and weddings are always styled with your individuality in mind; from the beautifully stylish to the cutting edge, we are able to create the vibe you desire. 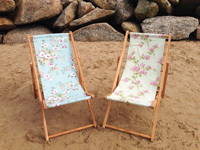 Relax and bask in the sun on your wedding day in a lovingly made deckchair made in Cornwall by Auntie's Deckchairs. Choose from one of their designs or your very own bespoke design - you might even have your faces imposed on brilliantly individual Mr and Mrs deck chairs! Get in touch for more details. 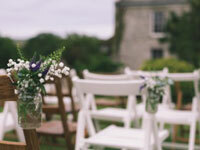 Stargazey have a range of beautiful items for hire to make your day simply perfect. From vintage hand painted chairs and fabulous deckchairs to gorgeous candles and potted succulents. 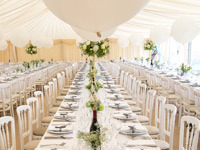 Whether you need to fully furnish a marquee, or just make the finishing touches to your tables, we have all you need. 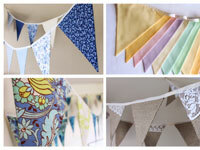 Funky Flags Bunting offer a wide range of beautiful bunting designed to make every space look fabulous. We offer a hire service for amounts in multiples of 10 metres, a bespoke service to match your theme and can also personalise bunting with the lettering of your choice. So whether it's a marquee, a barn, a hall or just a top table, Funky Flags Bunting will bring you the wow factor. 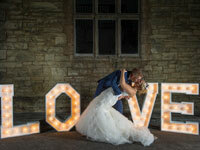 Illuminate your day in spectacular style with light-up letters and spell out your love in a unique and memorable way. Say It With Lights allows couples to choose their individual names, motto or message and showcase it as a spellbinding and stylistic centrepiece, adding extra atmosphere and increasing the wow factor to boot! Whether you opt for giant initials as a funky backdrop or a series of emotive words dotted throughout your venue, Say It With Lights will help you to design the details of this top-trending movement sweeping Wedding World. 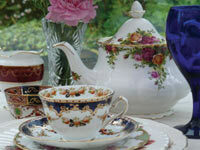 We offer you a comprehensive range of vintage crockery and accessories to make your wedding or special occasion unique and memorable. We have sourced individual pieces of vintage china, tea cups and saucers, side plates, dinner plates, cake plates, cake stands, and a wonderful range of glassware, cutlery, table linens and accessories to mix and match to suit your theme.